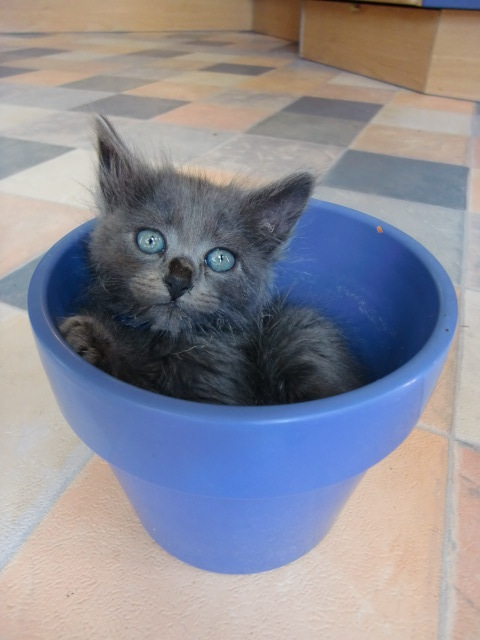 i wan´t to show you a new plant. I found this little plant one the backyard of my house. Do you know this plant ? This is Artemis of Silverblue Goblin one Male from my first Litter. I hope you like the Picture. Re: Do you know this new plant ? A very good photo of felis caticus sylvestris I believe. Lovely plant. I do also like the trendy combination of the amazing blue dots (which look like eyes) and the pot.